The WordPress platform accounts for 20%of all the websites that are online. 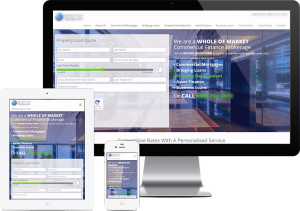 This is due largely to its robust and flexible framework which allows developers to create a bespoke website including sophisticated booking systems and highly functional customer review boards. Once set-up you will be able to make changes to your website using the admin access. Using the Content Management System, you’ll be able to update content, post blogs and add other valuable content. WordPress is an ideal platform for SEO which when combined with our optimised coding can push your website towards the top of the organic searches. Check out our SEO page for more details. We’ll install the latest cart technology so consumers can efficiently buy your products or services. We are website builders based in Nottingham that provides a personalised service from the moment you contact us. We will assign a dedicated web designer/developer as your point of contact who will manage all aspects of your project. Our aim is to generate successful results with a seamless service from initial consultations, through initial mock-ups and final design. Our website designers can build websites that operate across all devices.Smartphone search queries in Google now outstrip those received from PCs, laptops and tablets combined. Our websites function flawlessly on all types of devices to promote your message. Our expert team uses SEO friendly coding to support on page SEO and PPC campaigns. Manage your own website content easily without any expert training.Content Management Systems (CMS) allow you to deftly manage your own content. Platforms such as WordPress feature user-friendly interfaces that mean adding new content is a doddle. We can provide a service to suit all budgets that still deliver first-class results. No templates here. We create a unique web design for each of our clients. We don’t rely on unimaginative templates to create your website. We adopt an intelligent, visually appealing website design that is aimed at encouraging your target market to visit and engage with.